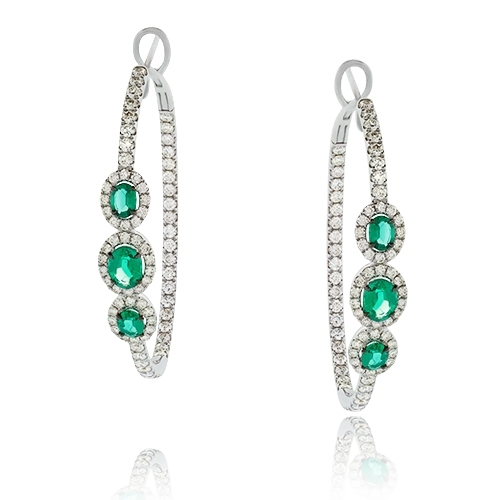 Oval faceted emeralds & diamonds prong set in this elegant pair of hoop earrings mounted in 18k white gold. Diamonds approx. 1.84ct. Emeralds approx. 1.30ct. Earrings 1.5"